According to the Sleep Foundation, adults need at least 7 hours of sleep every night in order to stay healthy. Unfortunately, many people around the globe struggle with poor sleep quality. 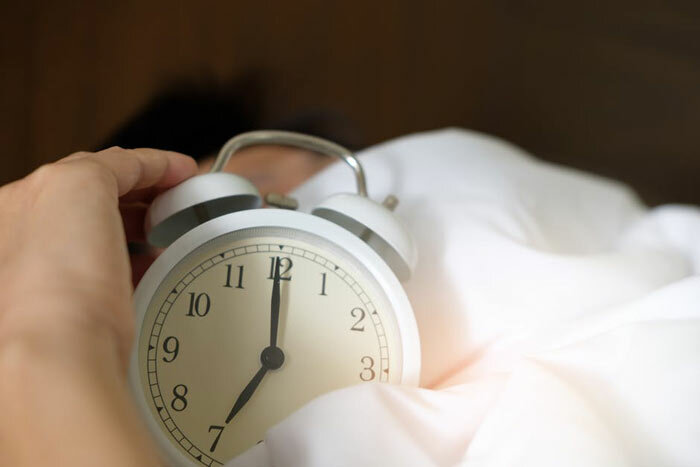 Whether you suffer from insomnia or just not feeling refreshed in the morning, there are some things that you might not know are getting in the way of your good night’s sleep. If you’re having difficulty falling asleep, staying asleep, or waking up with a groggy feeling, it’s time to take a cold, hard look at what isn’t working for your body. It might be something in your bedroom or even just a nighttime habit that’s causing you to lose your much-needed rest. We all deserve restful nights, so make sure none of these things are getting in the way. Your bedroom should be a quiet place to get away from the stress of your everyday life. For too many of us, our bedrooms fall short. If your bedroom isn’t working for you, it’s time to make a few upgrades. One of the best places to start is your bed. If you’re still sleeping on your stale mattress from college, that could be causing you to lose out on your beauty sleep. Many people change the way they sleep from night tonight, so it might be worth looking into one of these adjustable beds from Reverie with their awesome custom sleep system. Another way to keep your bedroom feeling relaxing is through proper lighting and soothing design. Surround yourself with lighting that helps you fall asleep at night, like dimmable bulbs. As for the decor, choose styles that make you feel comfortable. Your bedroom should be an inviting, welcoming place that you look forward to visiting after a hard day. It’s tempting to use your comfy bed for things other than sleep. You might enjoy spending time during the day in your bed, but this might be confusing your mind. Things like eating, watching TV, or working signal your brain that it’s time to get into action. When you only use your bed for sleeping, your brain will take that as a sign that it’s time to unwind. If you must do something before bed, watch TV with the volume low or read a book for pleasure. We’ve all had nights where we can’t get to sleep and we stare at the clock for hours. This might seem like it’s the best way to fall asleep, but you’re actually causing yourself more stress. Those late night sessions of lying awake create anxiety. The next time you struggle to fall asleep, you’ll be plagued by that same anxiety, thus continuing the cycle. Instead, the next time you find yourself awake and unable to sleep, go into another room. You want to associate your bed with sleep, not being awake. Watch TV in another room, stretch, or read a book in a separate space. When you start to feel sleepy, return to your bed. This way, your mind will stop associating sleep with anxiety. Who doesn’t love an afternoon cup of coffee or a late-night glass of wine? These are nice luxuries every once in a while, but they might be wrecking with your sleep. Caffeine can take up to 8 hours to get through your system. That means your 3 pm cup of coffee might still be around when you’re trying to get some shut-eye. While a nightcap might make it easier to fall asleep quickly, it’s shown to disrupt REM sleep which can leave you feeling groggy when you wake up the next morning. Every once in a while, a catnap can be a good way to refresh during the day. However, it’s easy to mess with your sleep schedule if you’re prone to afternoon naps. It’s tempting, of course, but this confuses your natural sleep cycle. When your body gets into the habit of sleeping at a certain time every day, it’s confused when you suddenly take naps throughout the day. Similarly, getting “extra” sleep on the weekends can prevent you from feeling refreshed during the work week. We all deserve a restful night of sleep. If you’re struggling to feel your best when you wake up in the morning, some of the habits above might be to blame. If your space and habits aren’t conducive to a good night’s rest, you have to make some changes for your health. Sleep is one of the most vital times for your body to recover from the daily stress, so make sure you’re doing everything you can to keep your nights comfortable.